Before you get a quote, we recommend you read a bit on the different types of life insurance, such as 10 year term, 20 year term, and 30 year term, as well as whole life insurance and other permanent options. In general, term life insurance is used to cover a short term need, commonly used to cover a business loan, mortgage, or for income replacement purposes. Whole life insurance, on the other hand, is a form of permanent coverage which provides life insurance for life and builds cash value. We offer all types of affordable term policies, from 10 year level term to 30 year term. We also specialize in 20 year term life insurance. All of our term policies have guaranteed level premiums for the entire duration of the term, including and up to guaranteed 30 year term life insurance. See below for average cost of these policy types for a male in excellent health, non smoker. *30 year term is not available after age 65 with any companies presently, so I’ve provided a quote for a guaranteed level premium policy for the 30 year term, male age 70 category. This is actually not a term policy, but a Genworth Colony SM Lifelong Universal Life policy with guaranteed level premiums to age 100. It looks and acts very much like a term policy for the first 30 years. It’s important to point out that no insurance agent can provide a better premium than another, since cost of insurance is standardized across the board. This means our best quote for a 30 year term life insurance policy for a 55 year old male with Genworth will be exactly the same no matter which agency you buy through, or even if you were to call Genworth. 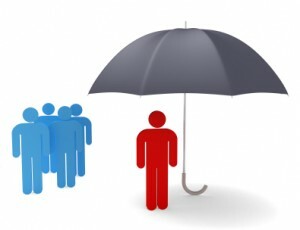 The difference at Term Life Insurance for Males, is that we know which companies offer the most competitive term life insurance prices for certain health conditions like diabetes, high blood pressure, and obesity. So the trick is to apply to the company who will offer you the most competitive term life insurance quote based on your health history. We also offer the best rates for smoker or non smoker life insurance. Do You Offer Life Insurance for Females? Yes, we do provide term life insurance policies to females as well, although the information found in this website targets men and the specific medical conditions more prevalent in the male gender, such as high blood pressure, coronary artery disease, and type II diabetes. We have hundreds of female clients, and you may get cheap term life insurance quotes for females using our form on the right as well. If you use any type of tobacco product, you’ll definitely want to speak to one of our representatives about getting a competitive term life insurance quote for smokers. First of all, we represent more insurance carriers than any online agency, and can therefore assure you that if you get a quote from us, it will be the cheapest policy for a cigarette smoker available. If you use some other form of tobacco, such as chewing tobacco, pipes, or cigars, we have at least two companies (as of September 2011) that actually give NON tobacco rates to these non cigarette tobacco users. You may call us for quotes and an application at 877-996-9383. We will review your health history with you and determine the best term life insurance prices for you. Your other option for a cheap term life insurance rates is to use our instant quote form to the right. You may then select the policy you want and click “request application”, and one of our agents will call you. If you found this article helpful, we’d appreciate it if you click the Google +1 icon below, thanks!